The Mindfulness Summit is a FREE online event. Learn from 31 world class experts including Arianna Huffington & Jon Kabat-Zinn. Professor Mark Williams gives an Introduction to Mindfulness in this session. Click on the link provided. You may need to register to be able to watch this free summit. Source: DAY 1 – Professor Mark Williams I have found it has changed my life. Every speaker has shared amazing insight. For me personally, the take home message was more about the “informal practice” than the formal practice. Thank you to Mrs Mindfulness Melli OBrien. Tara Brach has honestly helped me transform my life……..I have been on a journey my whole life and I feel like I have never seen clearer than I do right now. Tara offers free podcast’s to download on most electronic devices, whether that be, ipod, iphone, ipad, computer and android devices. Her podcasts cover a huge array of different topics, I’m sure there will be one for you. Transform your mind. 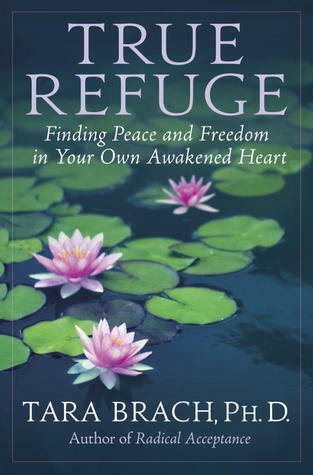 She has wrtiten an amazing book called TRUE REFUGE.